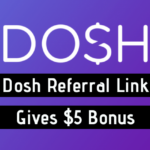 Dosh Referral Link Gives You a $5 Sign-Up Bonus! 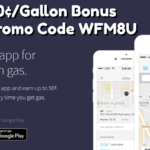 As of April 2019, our Dosh Referral Link (Click Here) will give you a $5 sign-up bonus for the cash back app Dosh. Dosh is a free app that gives you cash back for every purchase you make with your linked card to the app. You can get up to 10% cash back automatically in your Dosh Wallet If you're using your credit cards to make purchases, you may as well download … [Read more...] about Dosh Referral Link Gives You a $5 Sign-Up Bonus! 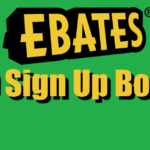 Seated Promo Code LOGAN100 Gives You a $5 Sign-Up Bonus! As of April 2019, the Seated Promo Code LOGAN100 will give you a $5 sign-up bonus for the restaurant discovery app Seated. Seated is a free app that gives you $10-50 in rewards from Amazon, Starbucks, or Lyft every time you dine at one of the best restaurants that the app has carefully curated. If you enjoy eating out and trying a restaurant, this can add up to a decent … [Read more...] about Seated Promo Code LOGAN100 Gives You a $5 Sign-Up Bonus!